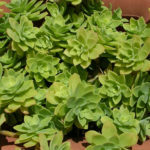 Sedum palmeri is a small evergreen perennial succulent, up to 8 inches tall, with narrow weak stems and rosettes (up to 2 inches / 5 cm in diameter) of rounded leaves, dusty green with pale pink blush. Brilliant yellow starry flowers in lateral inflorescences. 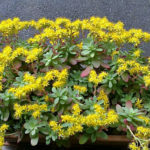 Once established Palmer’s Sedum is a very easy care plant. 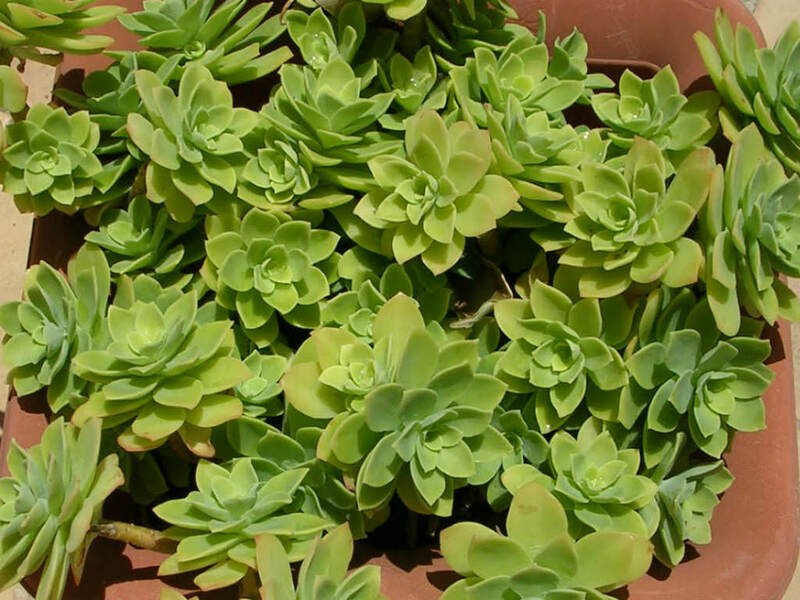 Like all succulents, it demands a porous soil and rapid drainage. Grow in rock gardens, mounds, small slopes and natural cliff faces, and at the top edge of retaining walls and curbs. 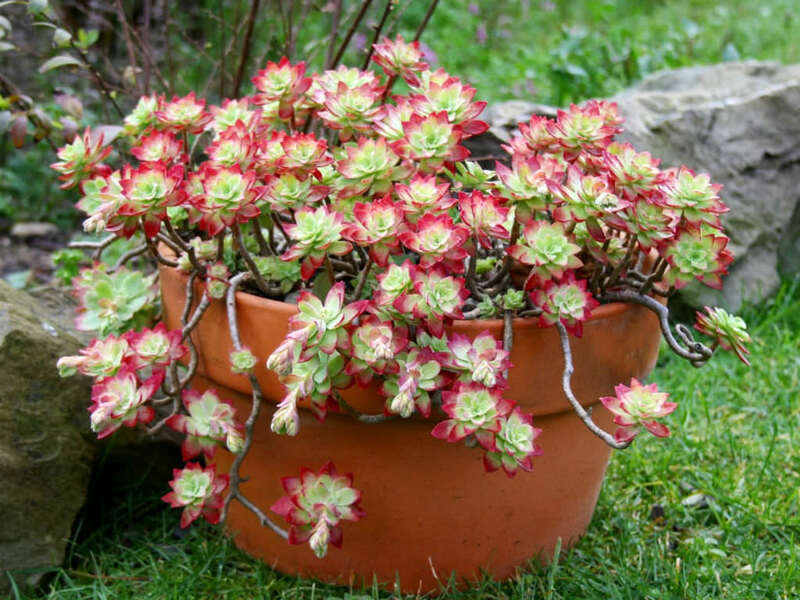 This is a great plant for a soil pocket on a wall, as a container specimen or in a hanging basket. 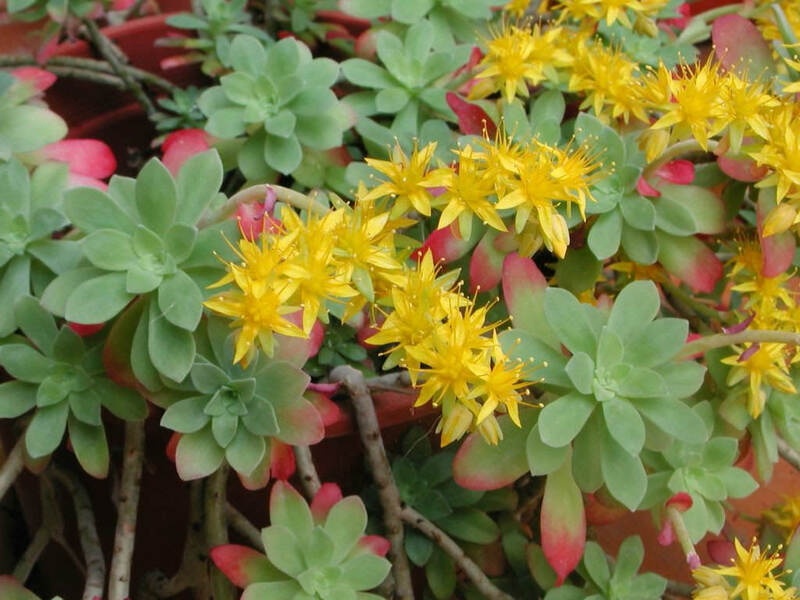 It is particularly nice in shade where its cheery yellow flowers are a welcome sight in winter. 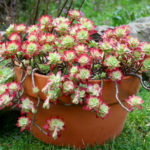 Palmer’s Sedum is noted as being one of the most shade-tolerant of Sedums but if grown in bright light the green leaves blush with pink. Water during the growing season only if the soil dries out completely. It is hardy to 20°F (-7°C) and some say it can handle temperatures closer to 0°F (-18°C). 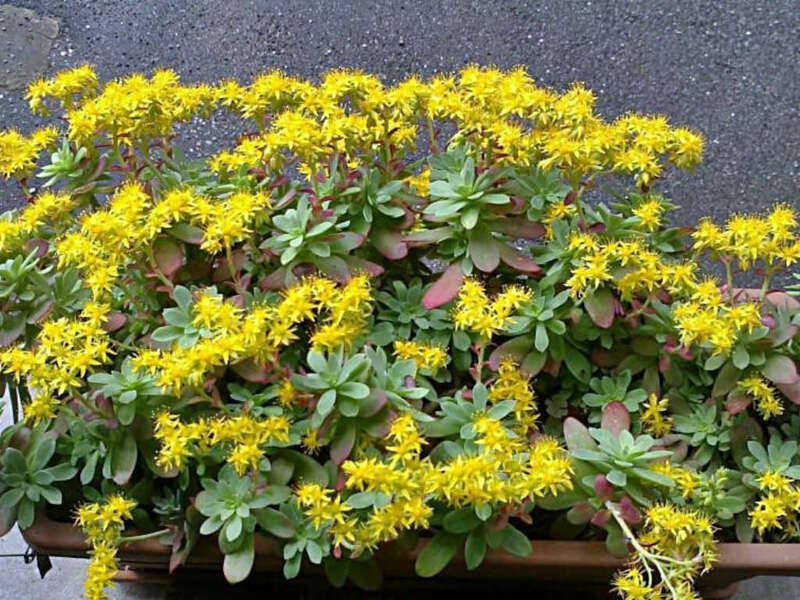 Sedum palmeri is native to northern Mexico (Coahuila, Nuevo Leon, San Luis Potosi, Tamaulipas) and Southern Mexico (Guanajuato, Hidalgo).